This section is for all students whose native language is not English, which includes permanent residents of the United States (green card). You may check to see if you are exempt from this requirement based on your country of citizenship. Please be sure to carefully read the admissions requirement. 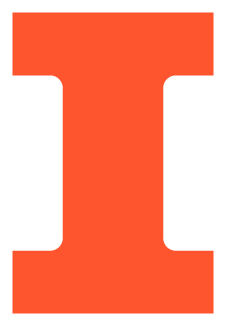 International applicants whose native language is not English must meet the English Proficiency Requirements for admission for the University of Illinois. Note: Applicants to the online CS degree programs must satisfy requirements for "Full Status Admission." International applicants are except from the TOEFL testing for admissions only if, within five years of the proposed term of enrollment, he or she has completed at least two academic years of full-time study as defined by the home institution, or completed a graduate degree in a country where English is the primary language and in a school where English is the primary language of instruction. Applicant is currently employed in a country where English is the primary language, as identified on this list. Applicant has a minimum of two years of continuous past employment record in a country (or countries) on the list above. Eligible applicants will be required to submit supporting documentation, sent to the department directly by their employer(s). Documentation indicating the period(s) of employment and location must be sent directly to mcs-ds@cs.illinois.edu. If such documentation cannot be provided, applicants must meet the Graduate College English proficiency requirement before the admission process can be finalized. To strengthen their application, these applicants are generally encouraged to submit official scores. To be eligible for all forms of financial aid awarded by the Department of Computer Science, a TOEFL iBT score (Speaking section only) must be submitted, regardless of eligibility of waiver for admission requirements. If currently working on an academic degree in the US or country whose official native language is English (not medium of instruction), this requirement supersedes the waiver of the TOEFL by the university. This requirement is regardless of naturalized U.S. citizenship or permanent residency and is for any assistantships (RA or TA). Non-submission of these scores will restrict the department from giving full financial aid considerations. A passing score on the TOEFL iBT (spoken portion of the exam only) is 24/30. And, a passing score on the IELTS (on the spoken portion of the exam only) is 8. SPEAK scores taken on a US campus other than Illinois are not eligible to fulfill the requirement at Illinois. The department has no authority to waive this requirement. A passing score does not guarantee an assistantship offer.